There are 2 possibilities that I can think of, one is that you are correct you may have a different version (if I'm not mistaken this document was created using Moodle 3.2 or 3.3). I suggest that you provide that here so that we help. There is also a possibility that you do not have enough administrator rights to install plugins, if so please contant your administrator. I have a lot of MP4 videos uploadded using H5P as Interactive Video, but they are not interactive, there are just mp4 videos. Now I need to take them out of H5P and use a player to play them. How can I find the video files stored in order to NOT download it and upload again? Which is the procedure H5P uses to store the video MP4 files? I see /videos/xxxx path but I can find it. Can you give me a little help? H5P uses the file storage functions of the host, which in your case is moodle. To the best of my knowledge, moodle doesn't simply use the original file names but uses hash values to name files and to store the data in its repository. I have a Python script that I developed to do the same thing. We were storing our videos in Moodle but that meant that e.g. course backups became 6GB in size and we couldn't really do backups and restores. The following script takes a moodle MBZ (which is a zipped tar file) and finds the MP4 video files. # the short file names stored in individual activities and the file store. # of files (i.e. the file names aren't meaningful anymore). Your help dirkcgrunwald is a BIG help !! Because Python interpreter is not installed yet in my W7 I must install it, what versión i the better to run your script ? And thanks a lot for your help !!! python 3.6.5 -- I used a Conda install on a Mac. whem i try to get the option the panel dissapear. Hi, you seem to be missing some files from the editor, this can happen for several reasons. 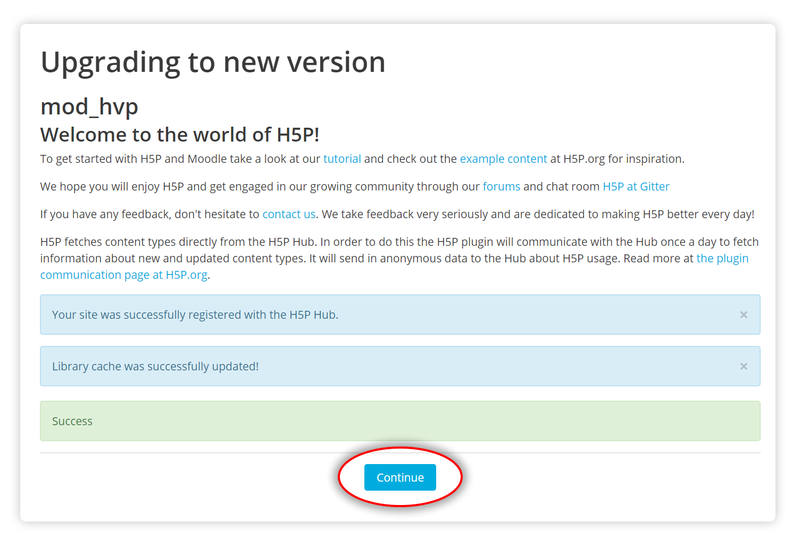 Did you follow the exact install procedures described in https://h5p.org/moodle ? Have you recently made any changes to the plugin version or libraries that could be causing this, or is this on a fresh install ? There seems to be multiple errors here, so the underlying problem is probably what is causing this, do you have a publicly available page where we can see the error and try to debug it further ? Yes I follow all the instructions in https://h5p.org/moodle, but I do some things different. First I install version 1.7, the version 1.9 dosn't is functionally with moodle 3.4.2 maybe with moodle 3.5.1 change the situation. With this two changes, the plugin is completly functionally, I follow the instructions you give, but i think is important you include the step to actualice the libraries, and be specific from the version compabilities. thanks for responses and atention. 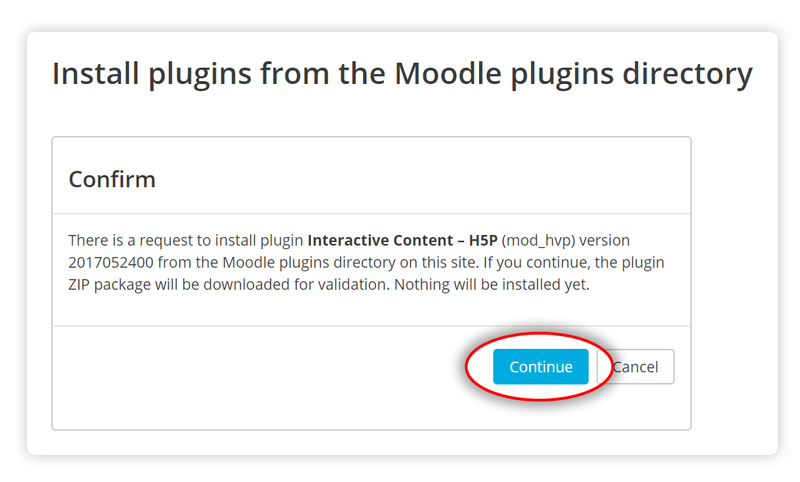 Hi, I just tried a fresh install of the H5P version 1.9 plugin with Moodle 3.4.2 and I didn't observe any problems. Can you elaborate on this and create a bug report explaining how to reproduce the failure ? I used php 7.0, which version are you using, are you seeing any PHP errors, etc ? 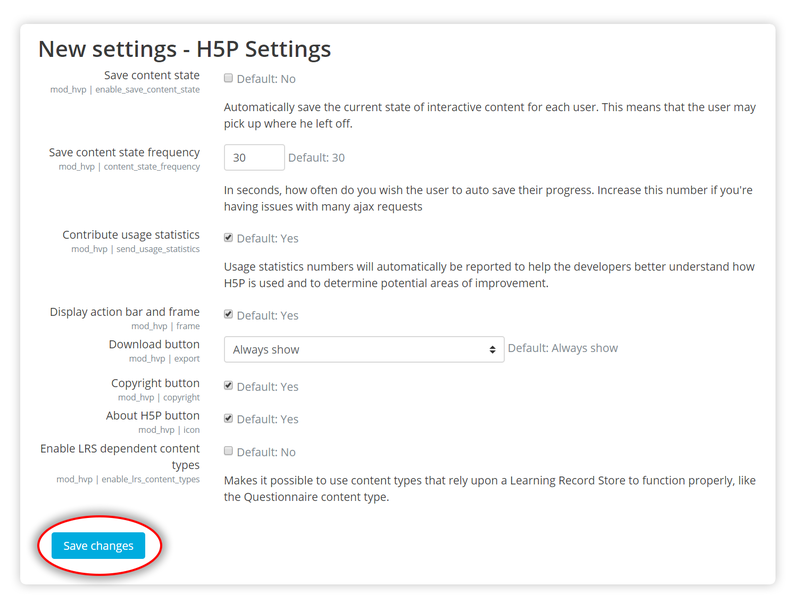 Furthermore the libraries should always be automatically downloaded when you install the H5P plugin, so there shouldn't be any need to go into H5P Libraries to update the content types manually, except if there was some error when installing. Please let us know if you find some errors and I'll look into how we can improve this. We're currently working on a project in which we'll use Moodle and would like to use a lot of H5P-activities. The project requires multilingual between Dutch and English. Is it possible to use this for H5P as well? I didn't find a field where we could enter this in the plugin, so I'm curious to hear from you! I'm afraid this is not possible. You would have to create separate contents. There is however a partial solution in the works and you can follow the progress here. As you can see from the screenshot, the installation process stalls when it reads the validation point. It downloads mod_hvp OK, but won't validate it. Has anyone else had this problem who could help? I created a separate thread for this. What do you mean linking Laraval with Moodle? Are you pertaining to H5P contents? Also there is a prototype plugin for Laravel, I recommend trying out https://packagist.org/packages/chali5124/laravel-h5p as a starting point if you want to try H5P with Laravel. However be aware that this is not an official integration, so we can't vouch for its support and completeness. moodle H5p plugin support 360 degree photos ? If yes, How we can upload is there any example for this ? or we can't upload 360 images ? Please suggest me if there is any possibilties. I think this thread has the answer the your question. How we can uplaod image 360 ?? I hope someone can help me solve this problem. Thank you in advance! Hello, whenever I play the video, it always says "Network Failure"
does this mean our internet cnanot load the video? Hi. I am moving my courses to Moodle and I'll be using the Edwiser plugin for Moodle. My question is, in my present LMS (LearnDash) I need an LRS so Learndash can read and mark the completion of the H5P activities. Is it going to happen the same in Moodle (WP)? Does H5P need an LRS to send those statements to Moodle? Thanks! Moodle has a built-in Gradebook that captures the scores from H5Ps. Really? So I won't need an LRS? That would be great, as I would love to create all my quizzes with H5P. thanks for the reply. 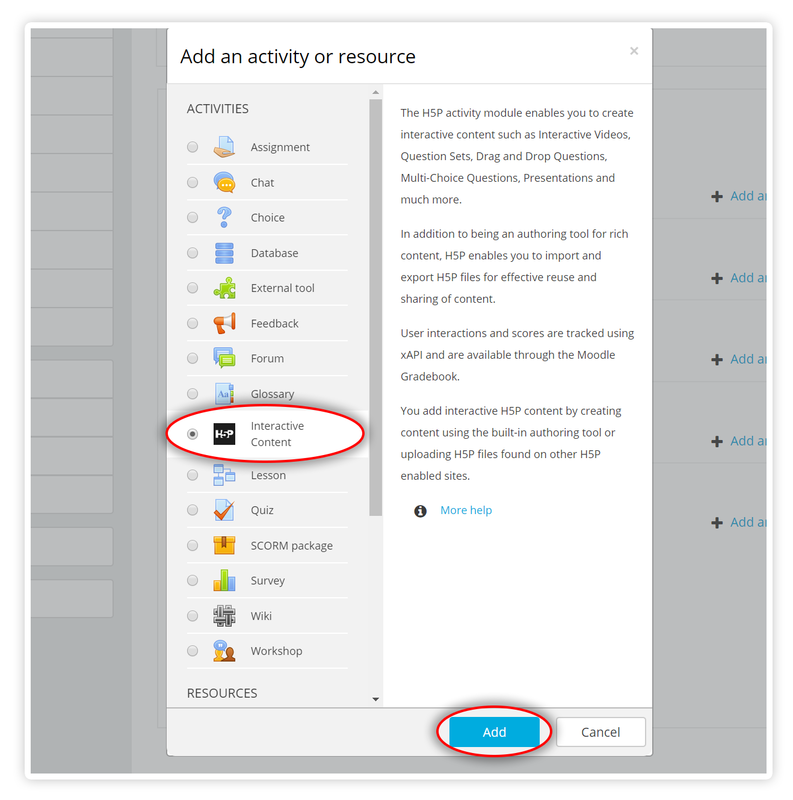 Elegram - we're using H5P in moodle with the Edwiser plugin. We're not using an LRS and we only get a single summary score, not any detailed information. What LRS are you using? We' had been planning on setting one up but I have had little experience in either LRS or an analytics tool. Any suggestion would be welcome. 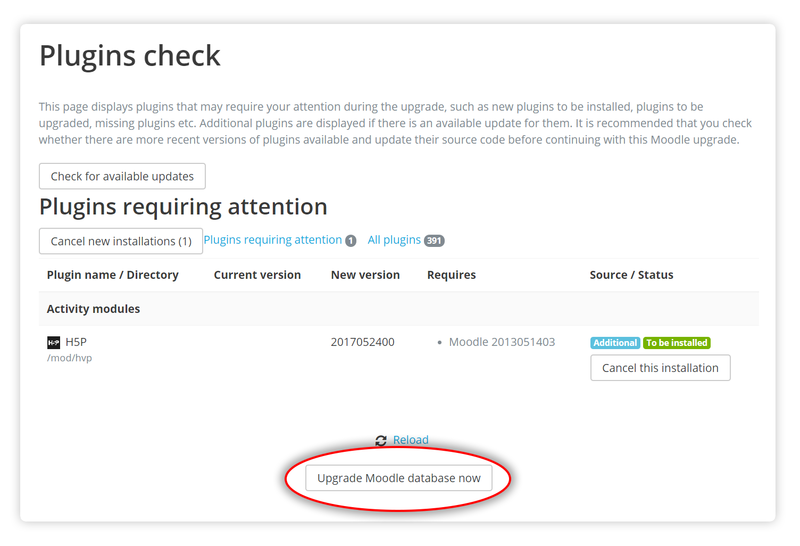 In Moodle, but there is a plugin that integrates Moodle to Wordpress. I am very confused, some say Moodle captures H5P statements, some say it doesn't. After some trial and error I was able to sync courses in Moodle and WP. I did a lot of testing and either I just can't find the setting or integration with the Gradebook by Edwiser does not exist. I already checked Edwiser's FAQs and documentation to no avail. Having said this there is a big possibility that only the coures are integraded but it doesn't included caturing the score. To capture the scores you would have to install an LRS plugin into WP. There are suggested LRS in this page. I'm having trouble installing H5P in Moodle. 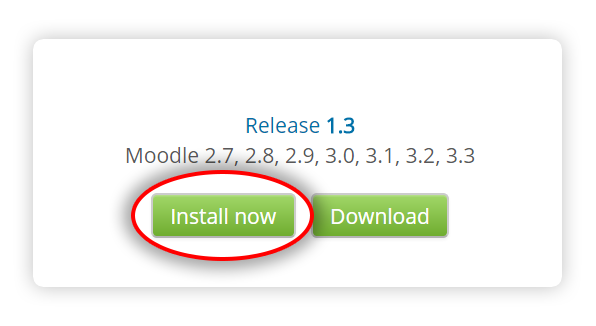 I've tried several ways to install the package without success either with the downloaded .zip or 'Install from Moodle Plugins Directory'. Moodle says 'Validation successful, installation can continue', then when I press 'Continue', nothing happens, moode just returns a plain white page. The plugin is not installed. Btw, other plugins intalls normally. Please have a look at the video. Any help would be much appreciated. Thanks in advance. I created a separate for you here. Note: the responsive script is great, i don't want to touch that. I would assume this is in Moodle. 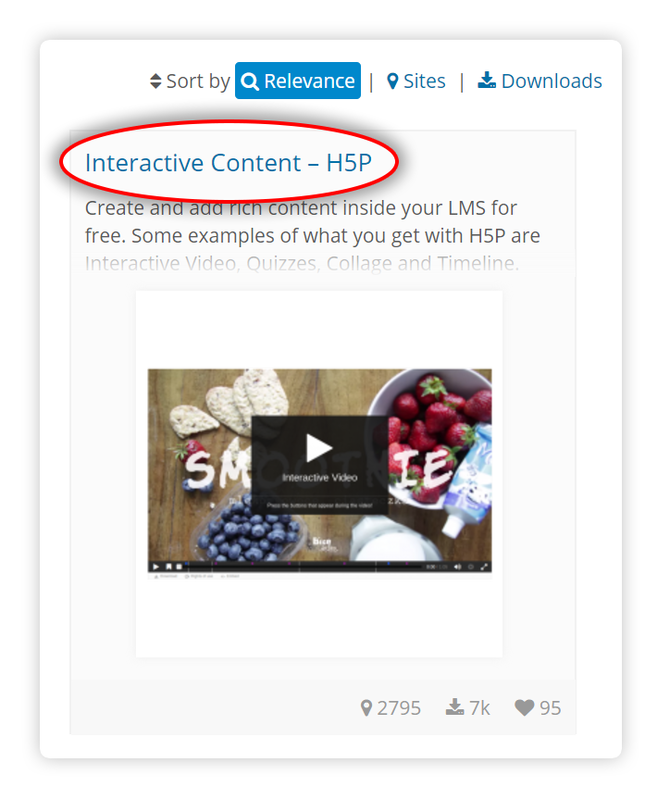 Are you viewing the content inside a course or within a page? Do you have any custom theme activated? Hi, many thanks for your answer. I am viewing the content inside a course. Yes, I do have a custom theme activated and I did try to overwrite my css with the iframe max width but did not work. Did you try to add width = "99%" for the settings of the picture that you paste? 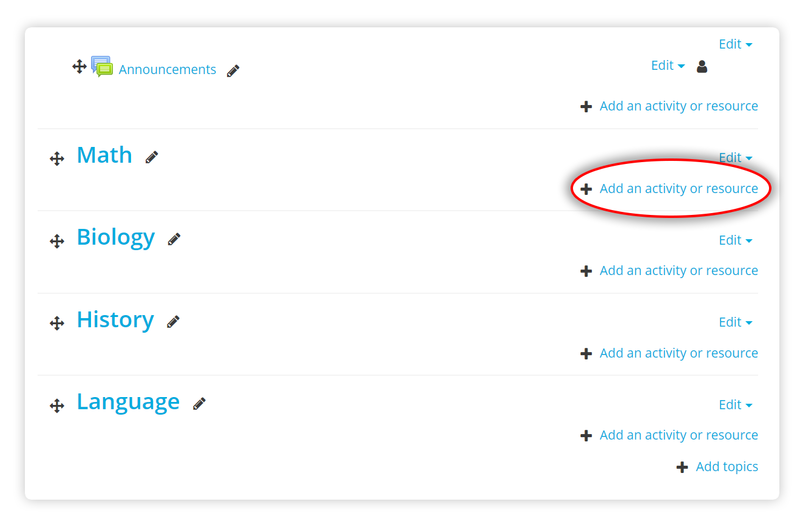 When you create an H5P on Moodle as H5P activity, there is no way to set width, height etc. The only way to do that is to go through the css and change for example the h5p.frame or h5p.container (random words). Hence, I cannot change the way it looks. The only think that can be done is to create an H5P and copy/paste the iframe=src and scrip=src on a Moodle page activity and afterward set a div style: max-width 800px. What I am saying is that there is no point of having the H5P plugin if every time I need to copy/paste code in a different activity. I hope you understand my point. I made this picture so it is clearer (i think) thanks for your help!